Huawei has used the power of AI and human expertise to compose the final two movements of Schubert’s famous Symphony No. 8. commonly known as the ‘Unfinished Symphony’. Symphony No. 8 has remained incomplete for 197 years and despite numerous attempts it remains one of the most intriguing pieces of unfinished symphonic music of all time. The London event was hosted by musician, Myleene Klass at the iconic, Cadogan Hall and saw the 66-piece English Session Orchestra perform to an audience of over 250 guests featuring models, Erin O’Connor, Laura Whitmore and Daisy Lowe, actor, Luke Pasqualino and singer, Nicola Roberts showcasing for the first time this unique ending to Schubert’s Symphony No. 8. 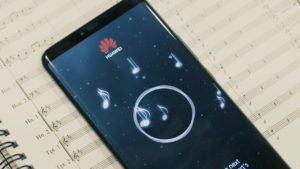 Huawei’s completed version of Schubert’s Symphony No. 8 was created by running an Artificial Intelligence model benefitting directly from the processing power of the dual NPU (Neural Processing Unit) in the Huawei Mate 20 Pro smartphone – designed specifically with AI-based tasks in mind. Analysing the timbre, pitch and meter of the existing first and second movements of the symphony, the AI model then generated the melody for the final, missing third and fourth movements. 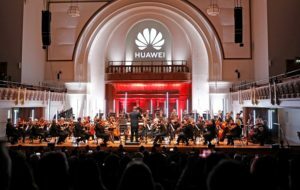 Huawei then worked with Emmy award-winning composer Lucas Cantor, to arrange an orchestral score from the melody that stayed true to the style of Schubert’s Symphony No. 8. Schubert’s Symphony No. 8 in B minor is considered to be the archetypal ‘Unfinished Symphony’. Musicologists are still in disagreement as to why Schubert failed to complete the piece, some cite his ill health, others claim that he was distracted by his follow up piece of work, but what is agreed upon is that he was charting new musical terrain with the piece.